From its prime location to bespoke meeting packages, there are plenty of reasons why this luxury five-star on Lantau Island is ideal for meetings and incentives. Hong Kong SkyCity Marriott Hotel is the only international five-star hotel on Lantau Island, offering luxurious experiences for event delegates and guests. As well as 658 rooms, 14 meeting rooms, and five restaurants and bars including the signature Man Ho Chinese Restaurant. 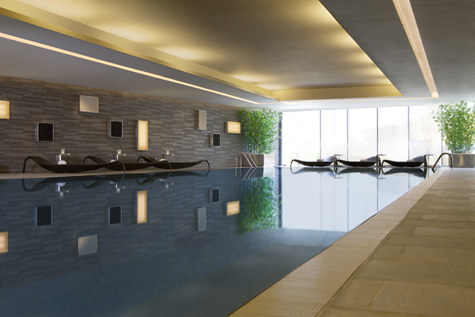 The hotel offers 24-hour Fitness Centre and the luxurious Quan Spa for delegates to use during some much-needed downtime. Renowned for its tranquility zones, the award-winning boutique spa offers a variety of massages, authentic treatments and spa packages. 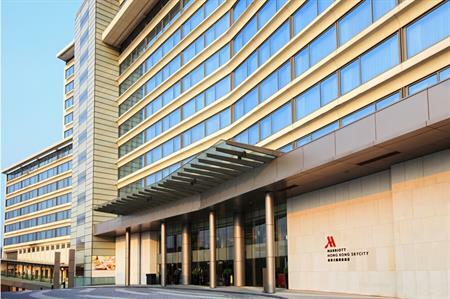 Directly connected to AsiaWorld-Expo, Hong Kong’s second largest convention centre, the hotel brings convenience and ease to conference guests, and is located within easy reach of Hong Kong International Airport. The hotel’s Lantau Island location is also home to a number of team building venues and attractions, such as Hong Kong Disneyland, Ngong Ping 360, Discovery Bay and Tai O Fishing Village, while shopaholics can get their fix at the nearby Citygate Outlets. Events are becoming increasingly mobile, with event apps and digital technology replacing manual processes and boosting efficiency. This can save precious time for both attendees and planners, making the overall event experience smoother and improving satisfaction. Hong Kong SkyCity Marriott Hotel is leading in this regard with its Meeting Services App, which allows planners to chat with the hotel’s in-house events team in real time. The app is available in 20 languages and allows planners to review changes, request room temperature changes, organise VIP essentials, and manage deliveries and shipping needs – anytime and anywhere. Marriott's Meetings Imagined also provides a slew of industry-leading digital experiences, such as smart event badges, live social media streams, and gamification ideas. 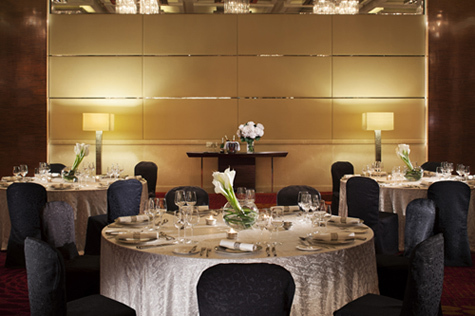 Offering more than 1,200sqm of function space, Hong Kong SkyCity Marriott is an ideal venue for events of different of all shapes and sizes. The hotel’s dedicated conference centre is also separated from the main building, offering exclusivity for event attendees and VIP delegates. The pillarless Grand Ballroom can be divided into three separate rooms, accommodating up to 650 guests, and all meeting rooms are equipped with wifi, state-of-the-art facilities and audio-visual equipment. In addition, the hotel caters for a variety of event menus, including Halal, Indian, vegetarian and Kosher requirements. Event planners can make use of the hotel’s bespoke meeting package, which includes a choice of 14 event spaces, complimentary coffee breaks with refreshments for both half-day and full-day programmes, a choice of a Western or Chinese lunch and complimentary use of the hotel’s built-in LCD projector, projector screen and wireless microphones. Half-day packages start from HK$530 pp (£55), while full-day offers start from HK$670 pp (£70).